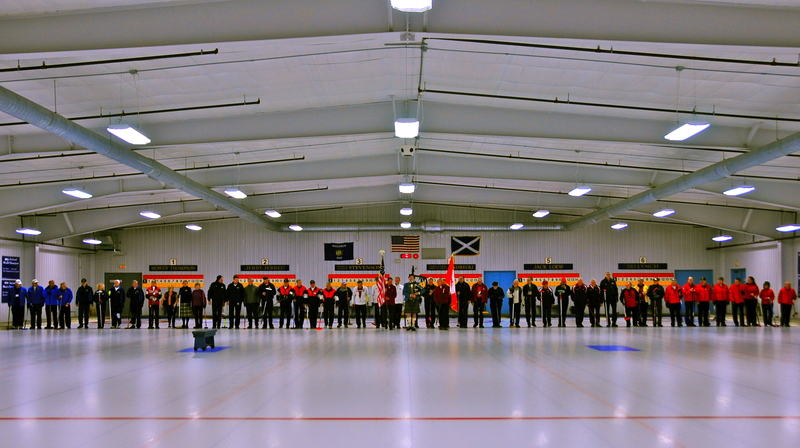 Nineteen teams from Canada and the United States competed at the 60th Jubilee of the Rotary Can-Am Bonspiel on January 16 – 18. 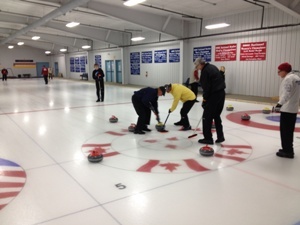 The international curling event concluded on Saturday with Rogers Ark, a team from Arkansas, taking first place for the United States and the Peterbough team winning for the Canadian side. These teams will go on to compete in the Rotary World competition in Aberdeen Scotland, March 27 – April 5. 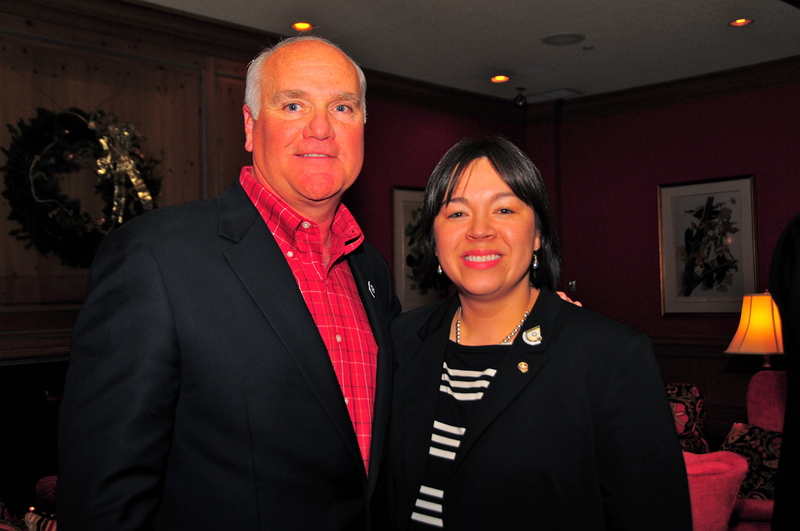 Our Rotary Club of Madison President Renee Moe (pictured at left with Rich Lepping) welcomed the 125 guests Friday evening at Maple Bluff Country Club. She told of the number of members our Rotary club has and the events leading up to our 100th Birthday celebration. 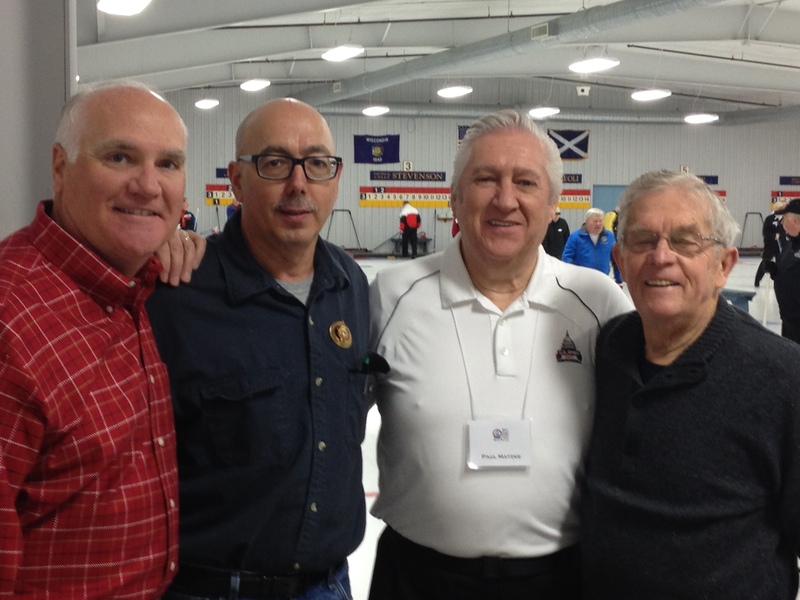 Also helping over the weekend were Rob Stroud, Dave Johnson, Gary Peterson, James Tye III and Tony Arneson. Tony’s daughter Olivia also volunteered her time to the project. 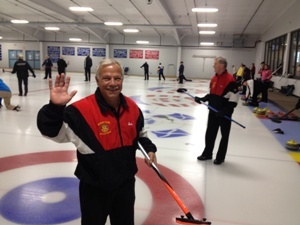 Madison Curling Club member Rich Lepping will be installed as the next President of the International Fellowship in Aberdeen, Scotland. One of the many highlights of the banquet was a raffle held to support the Goodman Community Center. John Hayes of Goodman’s Jewelers donated a pair of stunning diamond earrings for this raffle with over $1,400.00 raised for the center. Thanks to all for your time and support!